A number of towns, including Bray, Castlebar and the cities of Dublin, Limerick and Galway are considered littered. 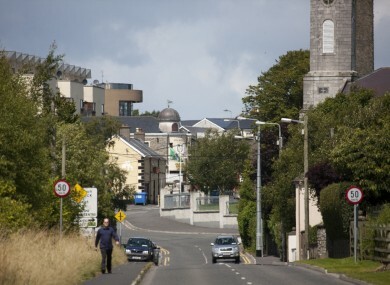 KILDARE HAS BEEN named Ireland’s cleanest town. The town topped the Anti-Litter League by Irish Business Against Litter (IBAL), finishing ahead of Roscommon and Ashbourne, with Waterford City in fourth. A special public sculpture will be commissioned for the town to mark the achievement. In total, 70% of the 40 towns and cities surveyed in 2016 were at least as clean as their European equivalents, a decrease on the previous year. While there were again no litter blackspots, Dublin’s North Inner City, Farranree in Cork and Galvone in Limerick are “seriously littered”. Letterkenny in Donegal, Mahon in Cork and Ballymun in Dublin are listed as “littered”. It is rare to find a town in such spotless condition throughout. The Link Road and both approach roads into Kildare Town got the top litter grade and this high standard was sustained for all sites surveyed. The top 5 towns in last year’s league – Kildare, Roscommon, Ashbourne, Waterford and Thurles – will all receive an Emperor Lime tree courtesy of the Irish Tree Centre in Cork. Conor Horgan of IBAL said that dumping was the country’s biggest litter problem. Email “Kildare is Ireland's cleanest town”. Feedback on “Kildare is Ireland's cleanest town”.